In a little girl's life, a dream is always a source of hope no matter the situation. In this case the world of pageantry helped her overcome many obstacles and installed the self esteem needed to build a strong future and most of all... help others! Marta: Where are you from? Syanne: I was born and raised in the U.S. Virgin Islands. When I was 8 years old, I moved to Southern California. At the age of 15, my family and I made another move to Southern Maryland. Marta: When did you decide to get involved with beauty pageantry and what inspired you to do so? Syanne: I have always loved pageantry. Growing up, I use to watch them with my mom and grandma. I have one particular memory where I was watching the Miss Universe pageant with my grandma, and Zuleyka Rivera (Miss Puerto Rico) had just won the title of Miss Universe 2006. My grandmother turned to me and said, "that will be you one day". I thought that was funny because I was a "punk rock" type of girl with black nail polish. I never felt that I was good enough to be in a pageant. The years went by, and pageantry was one of those dreams that I felt would never happen. 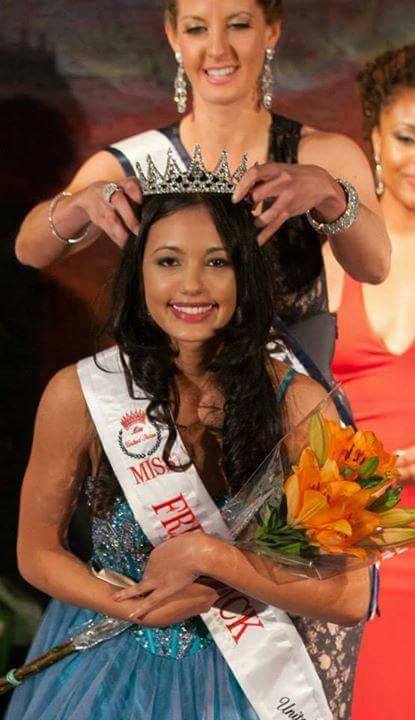 At the age of 20 in March of 2013, I entered a local pageant in the Miss America system. 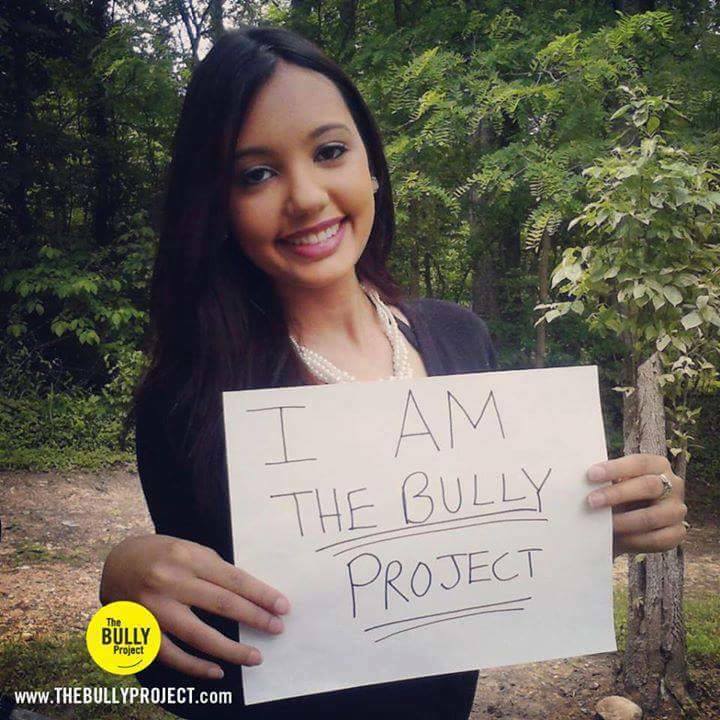 I had been told by a friend that it would be a great way to further my community service ( I was very involved in anti-bullying and eating disorder awareness advocacy). I decided to give it a try. I bought an $18 black gown from the thrift store, and a bathing suit from Target. I used an old prom dress for my talent outfit, and dug up my Clarinet from my closet that I played as a kid. Despite the fact that I had pretty intense stage fright, I got on that stage and did my best. However, my best consisted of me forgetting half of my talent on stage, tripping in evening gown, and being unable to answer the on-stage question. Afterwards, I swore that I would never embarrass myself in that way ever again. 7 months later, I entered a local pageant for the Miss United States Organization and WON the title of Miss Frederick United States 2013. I did a lot of studying and practicing before the competition, and it paid off! Marta: What are some of the struggles you have endured in your youth and do you feel that pageantry has helped you overcome some of them? Syanne: When I was 8 and made the move from the U.S Virgin Islands to California, I experienced severe bullying from my peers. 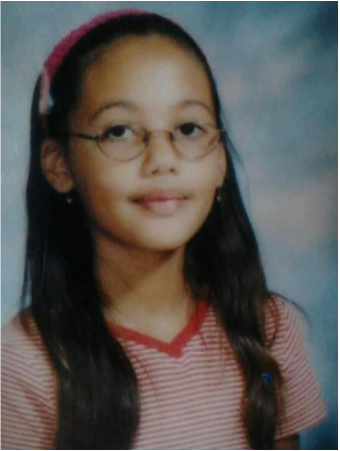 I was the only Hispanic girl in my class, was very shy, wore glasses, and had crooked teeth. The other children made fun of me and told me that I was ugly regularly, told me to "go back to where I came from", and would even hit me. To avoid being seen eating lunch alone, I skipped it my very first day of school. That was my first real "taste" of what it felt to be very hungry. I ended up skipping lunch every day, and eventually started skipping other meals. By the time I was in 8th grade, I would go days without any food. It wasn't until I was around 15 years old that I was diagnosed with Anorexia Nervosa. I battled this illness until I was close to 19 years old and received both inpatient and outpatient treatments. At the age of 19, I was diagnosed with Osteoporosis, a bone disease commonly seen in post menopausal women over the age of 50. This was because of my decade long battle with Anorexia. As I became involved in community service, my disorder faded further and further into the past. I knew that in order to help others', I had to be well myself. Although I had been in the recovery process for almost two years before I entered pageantry, I feel that pageants really added to my recovery. People often think that pageants are a cause of eating disorders, but not in my case. Pageantry helped me put on close to 20 lbs because of their emphasis on fitness. They emphasize FITNESS and HEALTH not "skinny", as many seem to think. I ended up increasing my caloric intake, and weight training daily. I was no longer skinny, I became strong. I am forever grateful for the healthy lifestyle that pageants gave me. It really changed my life. Marta: With so many pageant systems available to choose from what made you decide to run for the Miss World America 2015 Pageant? Syanne: The Miss World Organization really embodies all the qualities that I look for in a system. What I really love about the Miss World Organization, is their focus on "Beauty With A Purpose". 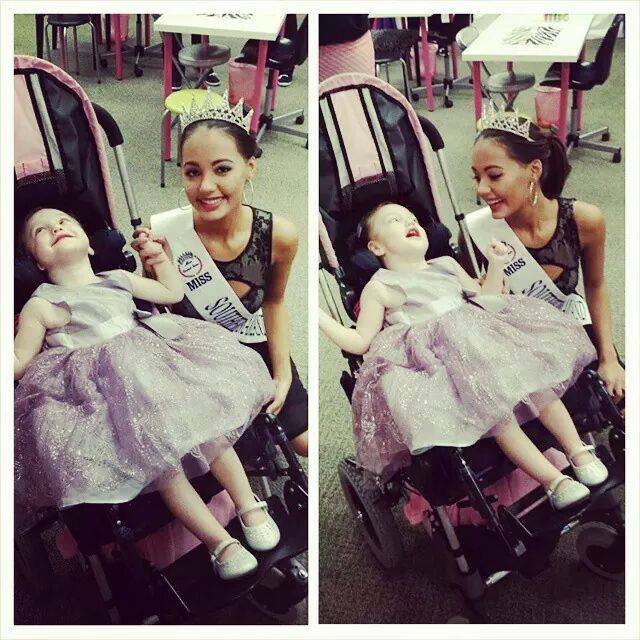 Beauty With A Purpose is a nonprofit organization started through the Miss World pageant. Their slogan is "helping children worldwide". I felt that this slogan fit extremely well with my causes, which all involve children. Along with this, the Miss World Organization also focuses on your public speaking abilities, and your community service. These are all things that I incorporate into my life. Marta: What kind of preparation do you need to do before stepping on the stage to compete at a beauty pageant? Syanne: To be honest, most of it is mental preparation. What I mean by this is you have to believe that you CAN do it. Before the Miss Maryland World pageant, I struggled a lot with believing that I had what it takes to make it. I focused too much on what the other competitors around me had, and on what I didn't have. That really affects your ability to do your best. Insecurities can be seen on stage. This time was different. It was different because I understood what the Miss World Organization was looking for. I knew that what I was doing off stage (my advocacy and community service) was more important than what I was wearing, or what I looked like. It was also different because most of the women competing were close friends of mine. We all wanted each other to succeed, we all encouraged each other. Being in a positive state vs. a negative state (as I often explain with my Warrior Princess Initiative), will affect your performance. Mental preparation is key. Everything else comes afterwards. Marta: How do you feel you inspire others as a role model? Syanne: I feel that I really show that overcoming adversities is possible. That despite what you've been through, or what you have, that your dreams CAN come true. 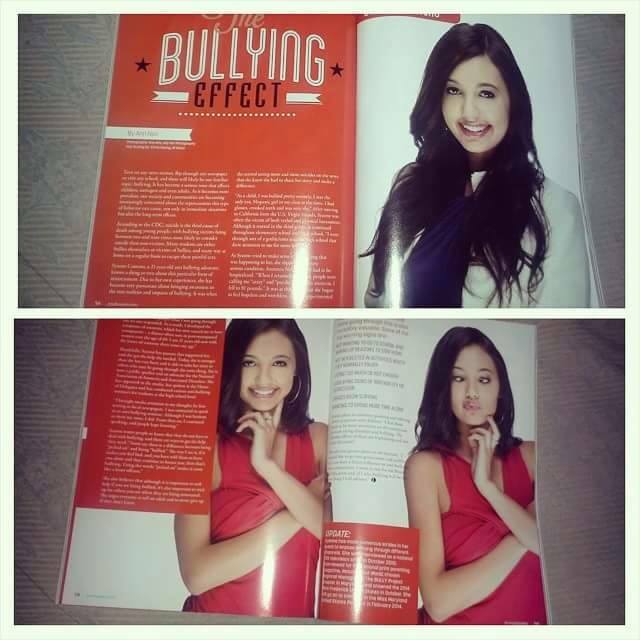 I endured severe bullying. I survived a decade long battle with Anorexia Nervosa, when it was close to taking my life. I survived a suicide attempt. I've been hospitalized in mental facilities. I have an incurable illness (Osteoporosis). I was seen as a hopeless case, the kind of "person" that would never recover-- that would die at the hands of Anorexia, or by suicide. But I chose to live. I decided that life was worth living, and that I would fight to have the kind of life I always dreamt about. And I want to point out that I didn't have a lot of money to get to where I am now. As I said before, my first evening gown for a pageant was $15 from a thrift store. My second dress (that I won my first local title with) was $40, and I had gotten it on sale because it was ripped. I didn't get to where I am because of money, or items. I got to where I am because I never gave up, and because of the person that I am. Marta: Tell me about the Warrior Princess Initiative and how that started. 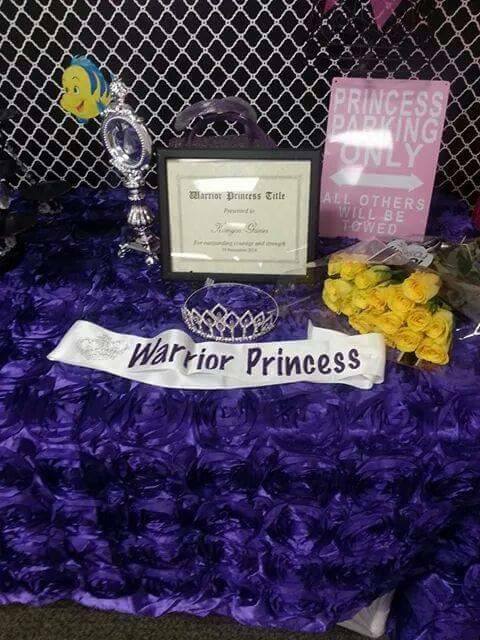 Syanne: Warrior Princess Initiative INC. is a nonprofit organization that lifts the spirits of children with life-threatening diseases. 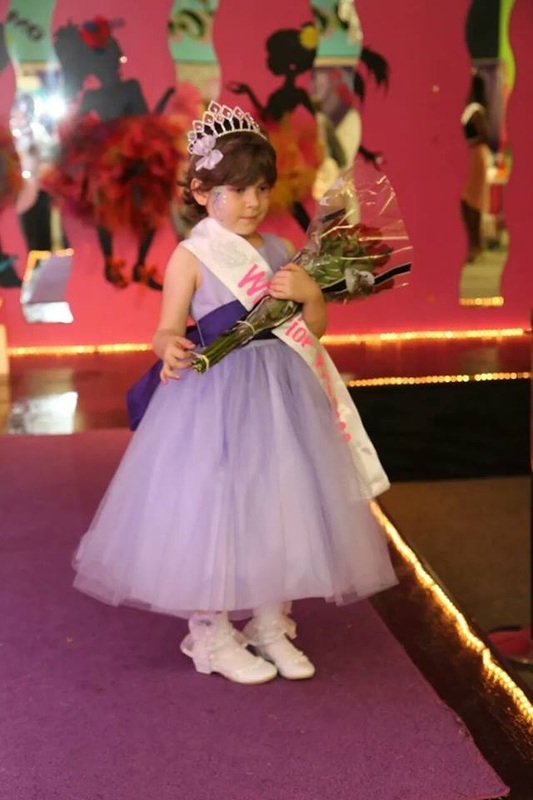 We give children their very own princess party, where they are crowned with their very own crown and sash (like a pageant queen) and get to walk the runway. These princess parties also fund raise for their medical bills. For children outside of Maryland, and the U.S, we send them princess packages that include all the necessities of a true princess. 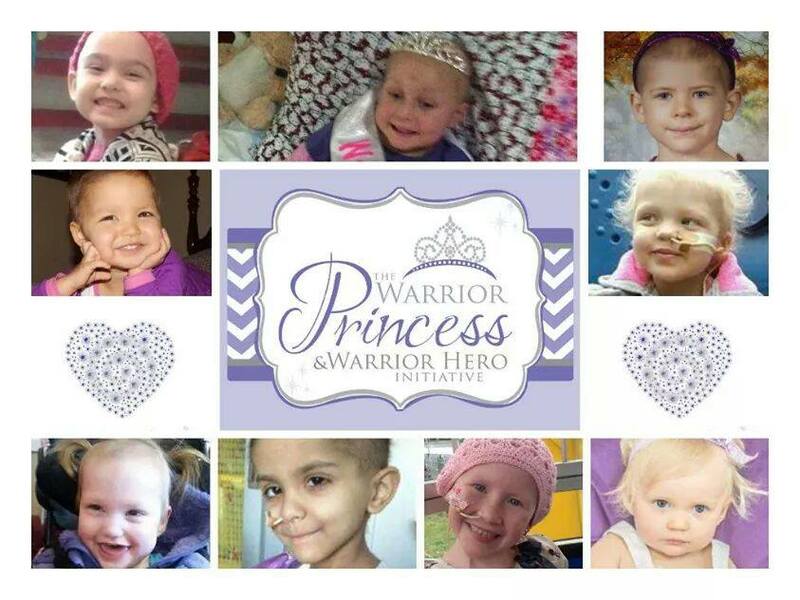 Warrior Princess Initiative began after I met a special little girl in the community that was known as "Warrior Princess". 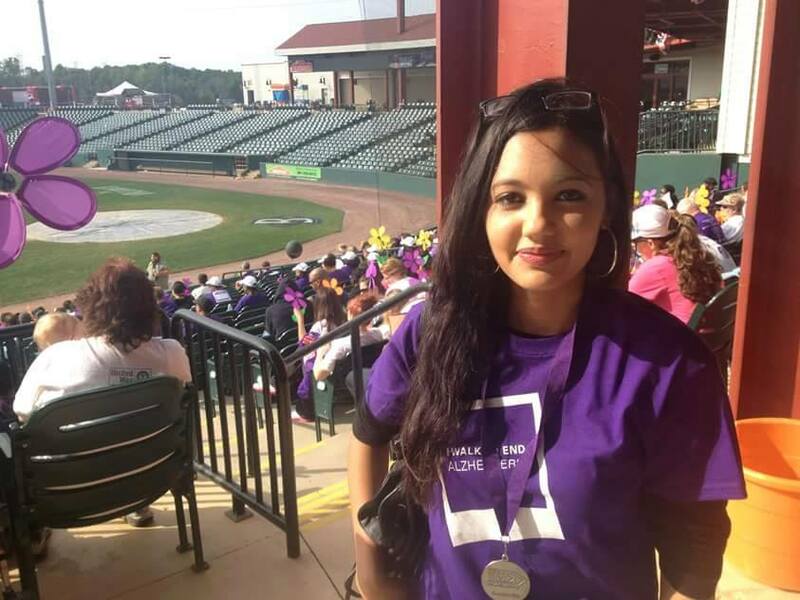 She had relapsed with cancer several times, and still managed to be strong and positive. She was the inspiration for the organization. To learn more about Warrior Princess Initiative you can visit: Warrior Princess Initiative and Warrior Princess Initiative. Marta: If you have one message to convey as a State Title holder what would it be? Syanne: I'd like to convey that love and compassion will get you far. Not only do you help others', but it is medicine for your soul as well. Marta: What advice would you give to girls who are interested in entering beauty pageants? Syanne: I'd tell them that beauty pageants are more about their beauty on the inside, not the outside. I'd tell them to explore community service, that it'd help them grow. Community service was the reason that I entered pageantry.